Thanks to Jackie and Kelly for introducing us to the Sphero robots last Wednesday. 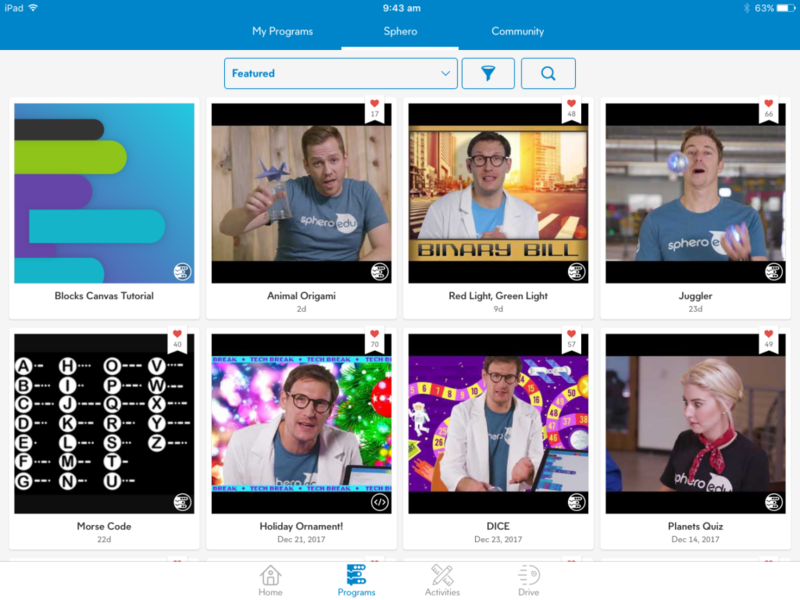 As a follow up here is an overview of what is available on the Sphero Edu app. Currently the filtering at PBAS does not allow content from the Sphero website to appear on the app but I have requested that the filtering be changed to allow the content. So be aware that at this point in time you cannot access the following but very soon will be able to. 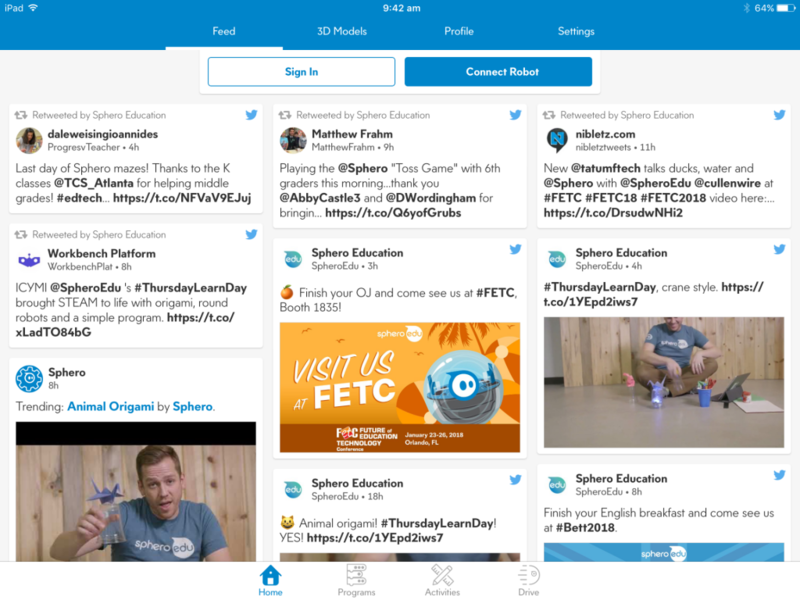 This shows the Twitter feed for Sphero Education. 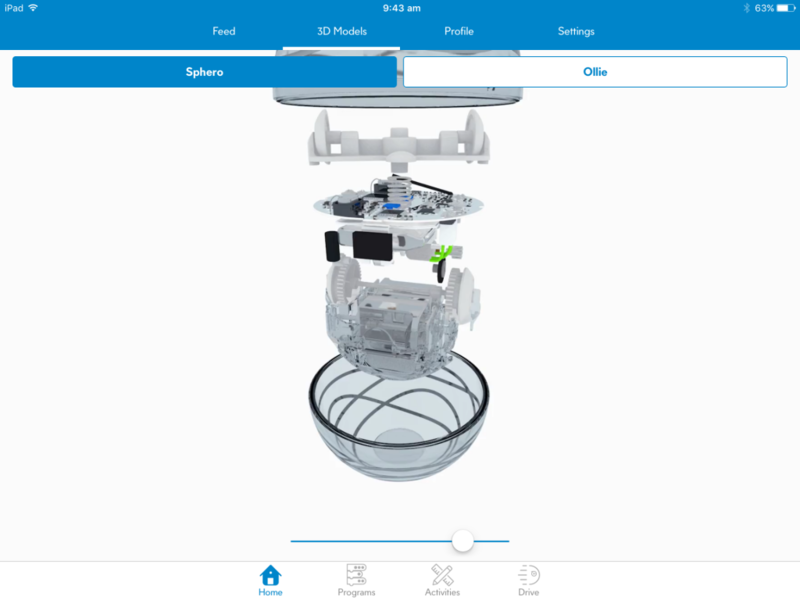 This section allows you to see an exploded view of the Sphero. This is where the programs that you or your students make will be saved. 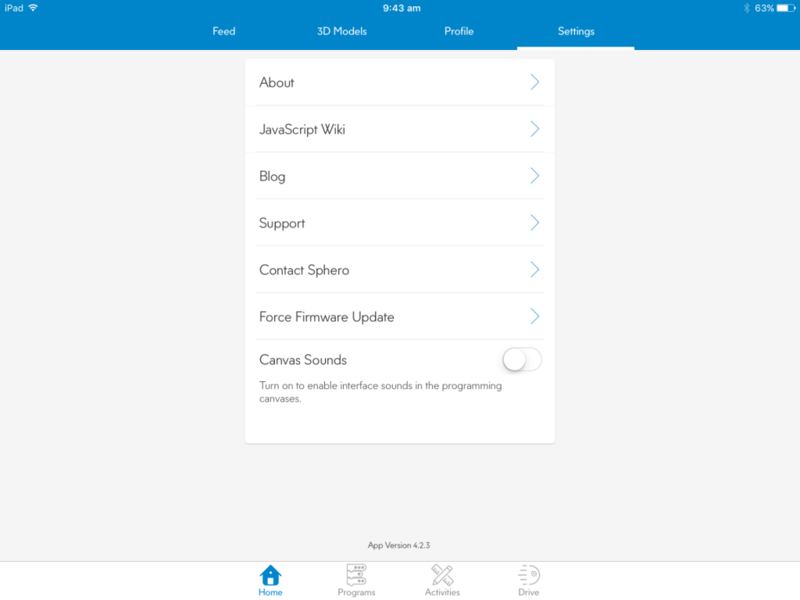 This is where you can access programs created by the employees of Sphero. When you click on a program you get a written explanation of the program and a video to watch. There will be a link to open the code that has been written. 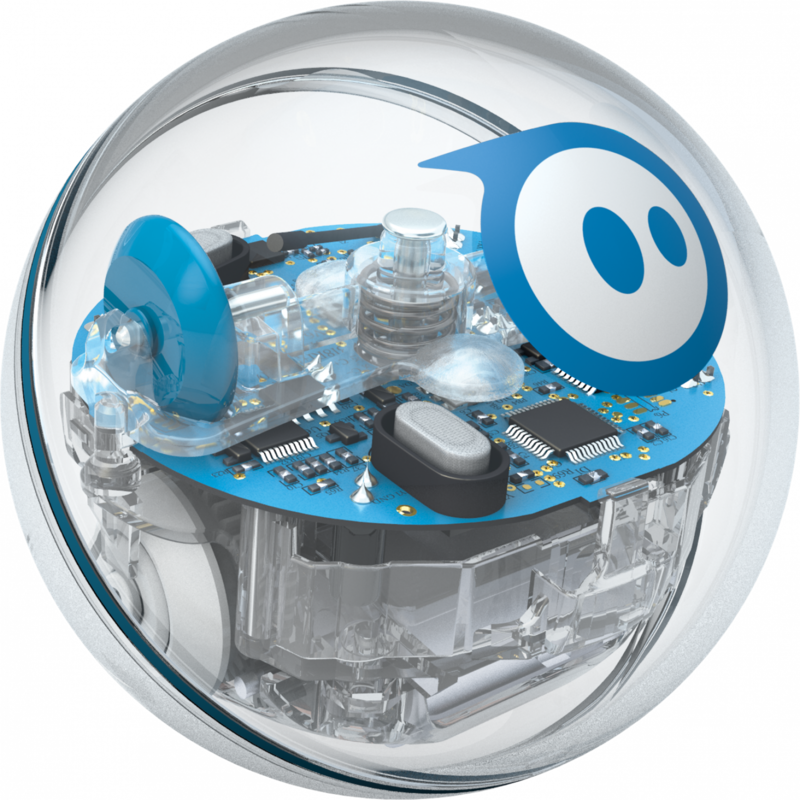 The code will open in the Sphero Edu app and can be used by you or your students. This option allows students to invsetigate and analyse detailed coding. I have included a video below of the Animal Origami program. 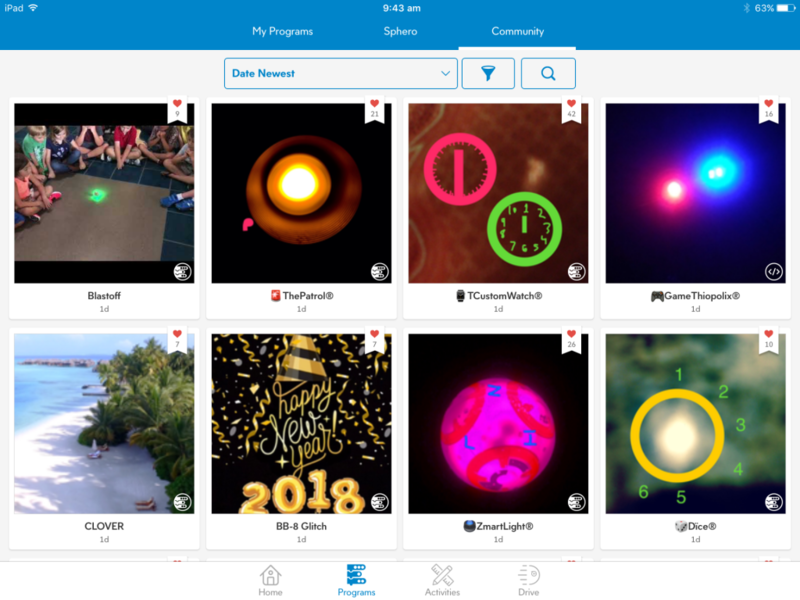 These are programs provided by the community of Sphero users who have submitted their programs to the website. Again you get a written explanation, a video and a link to download the code. 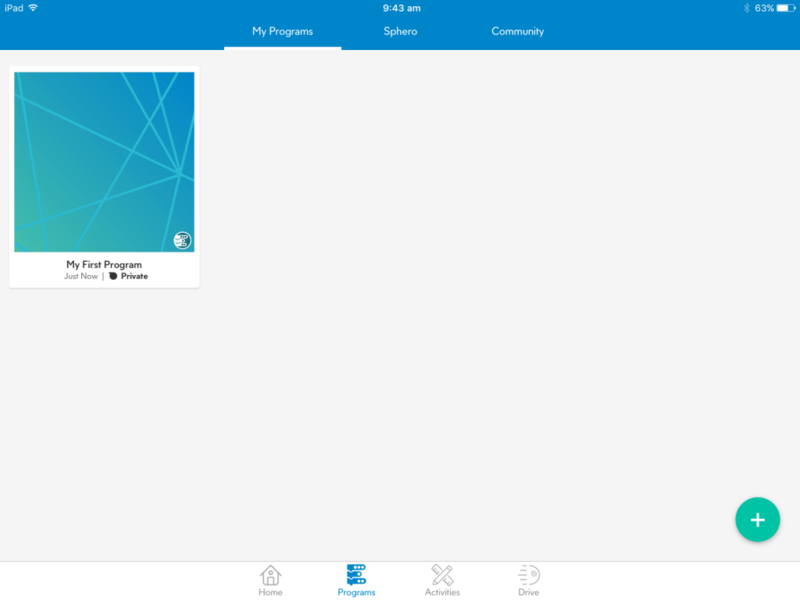 To access the community programs you need to sign in with an account. 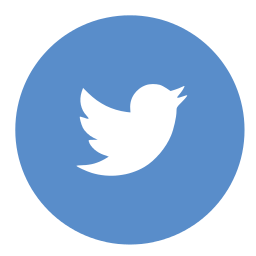 It is a simple process to create an account for yourself. 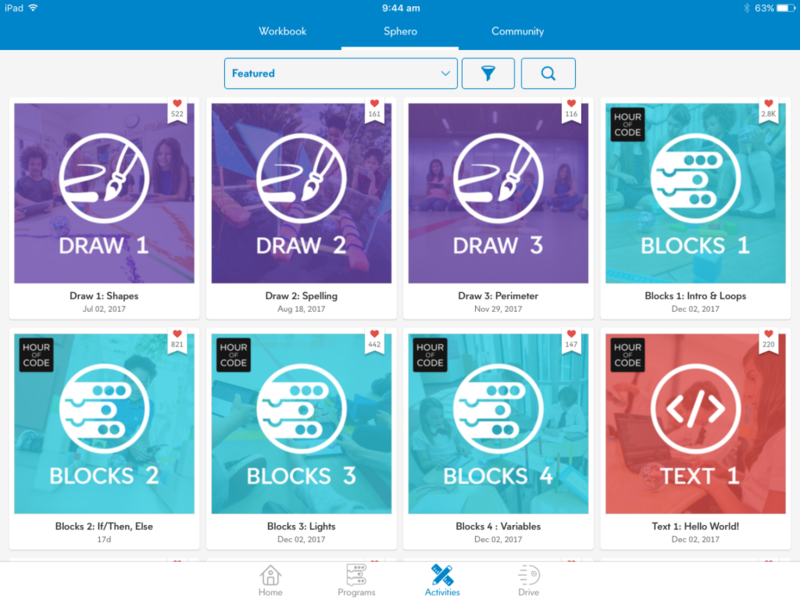 This section provides activities for teachers to do with their students. You need an account to access these in full. A great source of ideas! 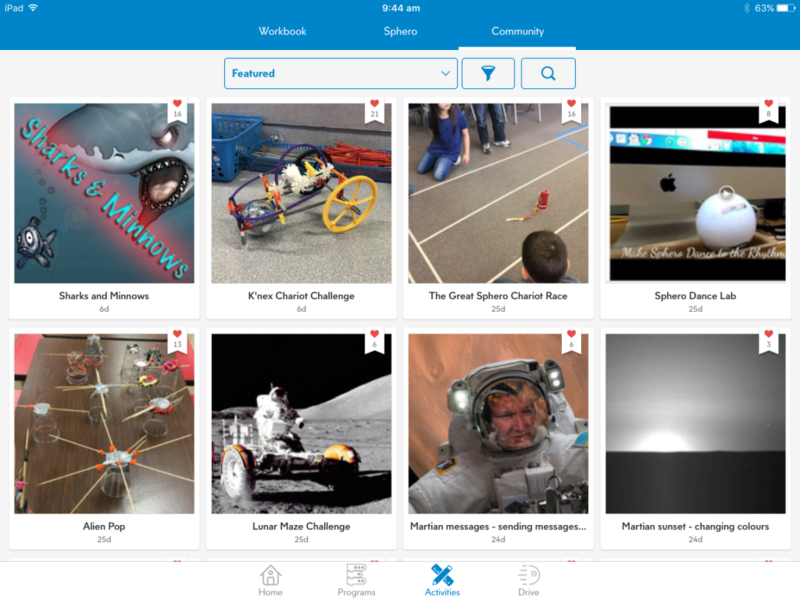 A huge range of STEM based activities created by the Sphero community. An excellent resource for teachers. I recommend signing in and and having a look at these. They provide step by step lesson plans and extra resources like videos and web links to support the lesson. I have added a video below that briefly shows the K’nex Chariot Challenge. While the video is not brilliant it gives you an idea of what you can expect to find when you access this content. The Federal Government is proposing a mandatory 10 minute phonics screening check for Year 1 students. The test is designed to identify students who need support with reading. The test includes real words and pseudo words, to test students understanding of phonics and is based on the test currently used in the UK. Jennifer Buckingham, Senior Research Fellow at the Centre for Independent Studies has completed a report titled Focus on Phonics: Why Australia should adopt the Year 1 Phonics Screening Check. The recommendation for the new test has been made by a panel appointed by Federal Education Minister Simon Birmingham and headed by Jennifer Buckingham. There are some individuals and groups who do not agree with the test including the Australian Education Union, some state education ministers and academics like Misty Adoniou. Misty Adoniou is an Associate Professor at the University of Canberra in education. She is passionate about students understanding word meaning (morphemic analysis) when learning to read and spell and believes this is more important than phonics. She does acknowledge the importance of teaching phonics but is opposed to the test because there are many other factors besides phonics that contribute to being a successful reader and speller. To listen to an interview with Misty Adoniou from the Teacher Education Review (TER) podcast click on the first link to download the audio file to your computer or click the second link to be taken to the TER Podcast website. The second link includes Misty Adoniou’s interview as well as a second interview with Stuart Riddle talking about literacy in the classroom. To read more about Misty Adoniou’s views about teaching spelling and reading click on the following links. How to help children with spelling. The purpose of this post is for teachers to reflect on how they manage deadlines, apply grades and give (or not) students the opportunity to resubmit work. 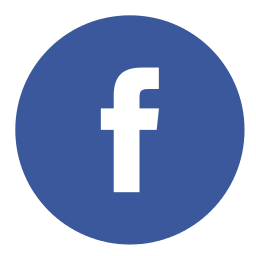 The Australian Curriculum is a standards based curriculum requiring us to assess against an Achievement Standard for each curriculum area/year level. Our learning tasks should link directly to aspects of these standards and by the end of the year (or two years for banded subjects) have given students the opportunity to show mastery of the standard. To achieve a satisfactory grade students must demonstrate “on balance” that they have achieved enough of the standard to pass, that is, achieve a C grade or higher. 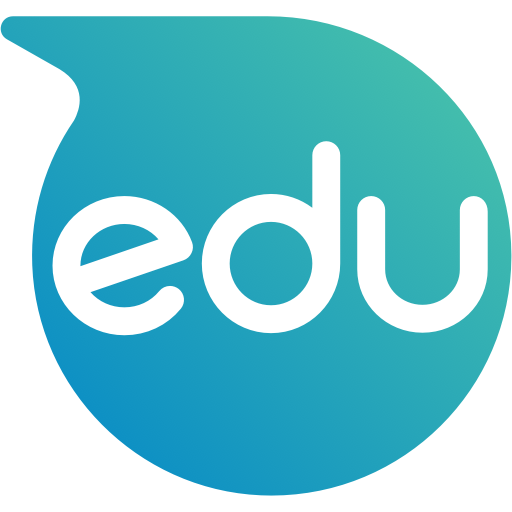 Through evidence supplied by the student the teacher uses their professional judgement to determine if the student passes the standard or not. 1. If a student does not submit a learning task (at all) do you give an E grade/0%? 2. If a student hands a task up late do you reduce the grade the student can get, for example lose 10% for everyday the task is late? Your child is demonstrating minimal achievement of what is expected at this year level – beginning capacity to apply knowledge, skills and understandings in a familiar context, beginning understanding of concepts and key ideas, initial development of skills, limited knowledge of content. If this is what an E means then how can this grade be applied without seeing the students learning? An E or 0% will affect a students grade average which is unfair if the E is based on no actual evidence. Wouldn’t it be more accurate to record an NA against the part of the standard being assessed and wait until the student provides some evidence before assigning an A-E grade? If you apply a penalty of 10% for every day a task is late is this an accurate assessment of the students knowledge and understanding? In this scenario the student may have achieved a B grade against the standard but ends up with a C grade due to late submission. Does this grade reflect the students ability or their behaviour? Should a students assessment and reporting include late penalties or penalties for not handing in work at all? Are we accurately assessing and reporting against the standard if we also assess student behaviours alongside their knowledge and understanding? If students have issues with behaviours including organisation, meeting deadlines, work habits, attitudes and participation can’t these be covered in the section of the report that caters for these? If a student submits no learning and continually gets NAs instead of an A-E grade then shouldn’t their final report also reflect an NA rather than an E grade? 3. Do you allow students to submit tasks that missed the deadline? 4. Do you allow students to resubmit tasks to improve their grade after the deadline has passed? By not allowing students the chance to resubmit tasks are we discouraging learning? 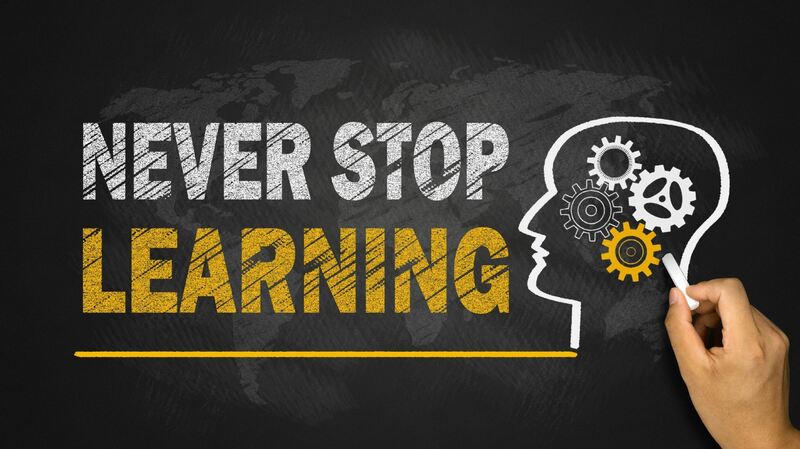 Does it matter how many attempts a student has to be successful in their learning? If the student wants to continue to learn and improve does the deadline stop this from happening? We could argue that students will ‘game’ this system of re-takes and resubmissions. Knowing they have second chances allows some students to apply minimal effort during the first attempt and penalises those students who do apply effort the first time around. I would argue the penalty is applied to the student who is resubmitting. Trying to re-do a task in the their own time and keep up with the next topic/task is not easy and would require considerable motivation. The student who put in the effort initially will find managing their work load much easier. How do I address deadlines and re-takes/resubmissions in my classroom? I have deadlines. I have consequences for not meeting those deadlines. The consequence for missing a deadline is that I require students to come in at lunch time to complete tasks. This means that when the task is finally submitted it is assessed against the standard without further penalty. I tell students that if they want to resubmit a task to improve their grade they can do so at anytime before their final end of year report. If students wish to use their own time to demonstrate improvement in their learning it is my job to encourage and support this behaviour. As mentioned above students who regularly miss deadlines have to complete their learning at lunchtime. I am still not as consistent as I need to be with this as other things get in the way. Lunchtime sports, yard duties, wanting to have your lunch in peace and quiet etc are all things that get in the way of this process. I apply it as best I can. I don’t give an E grade to a student who fails to submit a piece of work I write NA in my marks book. If a student does not submit any evidence I cannot accurately gauge their level of knowledge and understanding to apply any grade. If students in my class continue to get NAs for tasks then their final report will also reflect an NA. This means that there was not enough evidence to assess the student and apply an A-E grade against the standard. It also means that the student did not meet the Achievement Standard for that subject/year level. Resubmission is open to everyone, not just those who get Ds and Es. If a student gets a B+ or an A then they can also resubmit to improve their grade. Do many students take up the chance to resubmit tasks? No. I don’t see this as a reason to change my practice though. During 2017 I had a few students take up the offer of resubmitting tasks because it would impact on their final grade. They demonstrated a motivation to improve and used their own time to re-do their work. This is a practice I want to encourage. Teachers might say they have always been willing to accept a resubmitted piece of work but how many actively promote and encourage this idea with students? Do your students know this is an option? How re-dos, retakes, resubmissions (whatever you want to call them) and deadlines work in one teachers class is not going to be the same as what works in another teachers classroom. The subject specific curriculum, the teachers workload, the teachers personal beliefs and school policies among other things will impact on what a teacher can or wants to do in relation to these issues.